Cannabis regulation comes in different forms throughout the world. We showcase Portugal, Netherlands, and Colorado in their approach to cannabis regulation. Drug possession, use, and distribution are under different regulations throughout the world. Most of the countries make a difference when it comes to so-called soft and hard drugs. Hard drugs are loosely defined as drugs with an unacceptable degree of addictiveness (physical addiction) and/or physical harm. Cannabis falls under the domain of soft drugs, as there is minimal physical harm even when used irresponsibly and the addiction caused in heavy users is still only psychological. As such cannabis regulations in the world are usually less harsh than those for let’s say heroin or cocaine. In this article, we look at the drug regulation policies, especially those pertaining cannabis, in three different countries. Portugal, Netherlands and Colorado all have quite progressive, but different, approaches to cannabis regulation and we shall summarize the situation with each of those approaches. History of drug use in Portugal stems all the way back to the Carnation Revolution in 1974. The revolution was a bloodless military coup that ended 50 years long dictatorship. After the revolution, a large number of Portuguese nationals returned from the newly freed colonies, such as Mozambique and Angola. As in those countries, there is the custom of consuming hashish and marijuana, it was introduced to Portugal. Cannabis was consumed in Portugal almost as a symbol of the freedom. Despite the widespread use of cannabis, it is not until the 80’ until Portugal started experiencing severe drug problems as Europe was flooded with heroin from Afghanistan and Pakistan. To cope with the drug abuse crisis, drug use was criminalized and those using found themselves at the risk of being incarcerated and outcasted. Such a policy did not manage to contain the drug abuse, and as a result, in the mid to late 90’s, almost 1 percent of the entire population of Portugal was addicted to heroin. Also, the number of drug-related AIDS deaths was the highest in the world. The alarming situation needed fixing and an elite panel of experts, called the Commission for National Drug Strategy devised a plan which included moving from the current model to decriminalization, as it was argued that incarceration was less cost-effective than rehabilitation. The plan was adopted in 2001 making Portugal the first country in the world to decriminalize the use of all drugs. The argument that incarceration is less cost-effective than rehabilitation, and that it led to higher rates of reoffending as addicts were pushed deeper into the criminal lifestyle proved to be true. The numbers show that there are fewer drug users in Portugal today, with the numbers for those that have used drugs in the past year and the past month dropping rapidly. Rehabilitation focused battle on heroin use has led to a severe drop in drugs related deaths. Those number count for drug-related AIDS deaths too. It is worth noting that the number of those actually using drugs at least once in their lifetime has gone up, but those numbers are shown to be irrelevant as an indicator of drug abuse and have very little meaning when it comes to the effect of drugs on society. It must be said that besides the revolutionary drug policy Portugal has made significant steps when it comes to improving the quality of life, which this significant drop in drug abuse can also be partly attributed to. There is no stigma about cannabis use in Portugal, but it is important to know that the use is not legal but merely decriminalized, meaning that you are not legally allowed to possess cannabis or consume it, but when found in possession of fewer than 25 grams of herbal cannabis or 5 grams of hashish you will not be subjected to any legal consequences. Growing any quantities of cannabis, even for personal use, is illegal in Portugal, but it is worth noting that cannabis-related arrests are a very rare occurrence as law enforcement aren’t intent on capturing home growers. It is also illegal to sell or own cannabis seeds. This means that when in Portugal acquiring cannabis is not all that easy as large scale growing is not viable and those that sell cannabis are still considered criminals. Tourists are often left with the option of getting low-quality cannabis at very steep prices, while locals use their network of connections to get good quality cannabis from local growers. Medical use of cannabis is still not regulated by Portuguese law, so people that suffer from certain conditions known to be aided by medical cannabis are left to their own means. Thankfully, unlike most other countries, their medication process is not criminal and they are unlikely to suffer any consequences for their use. There is a strong culture of enjoying cannabis in Portugal and as a consequence, there is a growing initiative for the legalization of cannabis and the introduction of a regulated market. Many of the European countries were struck by the heroin abuse crisis in the late 70’s and 80’s Fate of the Netherlands was no different and when the Afghani and Pakistani heroin flooded Europe there was an urgent need to do something about it. Amsterdam was particularly hit as its streets were severely saturated with the same cheap heroin. Hashish and herbal cannabis were also becoming more popular, but the increase in the use of cannabis products was hardly an issue as health and social impact of the drug was minimal. Studies were conducted which concluded that responsible cannabis use was feasible and comparable with alcohol or tobacco consumption. As a response to the growing problem of drug abuse in 1976, the new Opium Law was implemented differentiating between soft and hard drugs. The government was keen on fighting heroin use placing soft drugs under the so-called “policy of tolerance”, so police resources are freed to fight the real issue. With the creation of the Opium Law coffee shops began to appear, as places to sell and consume cannabis. Coffee shops are allowed to sell cannabis and cannabis edibles but not any other drugs. There are also rules coffee shops must follow in order for their activity to remain unsanctioned by law. • Coffee shops may not be situated within a 250-metre radius of a school. With the creation of coffee shops, a process known as market separation started to take place. It is thought that an all-out prohibition on drugs creates a high-risk environment where many different types of drug users are put together. Previously when cannabis users were acquiring cannabis they would get exposed to many other drugs, soft and hard. It is thought that the lack of that exposure is what keeps drug abuse in the Netherlands so low, in fact, the Netherlands has the lowest rate of drug abuse in Europe. A culture has been established in the Netherlands where cannabis use is no longer looked at as drug abuse, but as a normal thing, unrelated to the criminal activity that involves other drugs. Everyone in the Netherlands is allowed to have up to 5 grams of herbal cannabis or hashish. Consumption isn’t allowed in public spaces other than coffee shops, but it is very unlikely that you will get in trouble for it unless causing some sort of a public disturbance while doing it. While growing cannabis is still illegal having up to 5 plants for personal use is tolerated, meaning that if found they can be confiscated but no prosecution will follow. What defines growing for personal and professional use is a bit tricky. When growing for personal use the grower must not possess more than 1 technical apparatus such as hydroponics grow tent, grow light or extractor system. Unfortunately, indoor growing usually requires more than one of those apparatuses. Despite, the confusing regulations it is highly unlikely that an indoor grower with the aim of growing for personal use will be sought out by law enforcement no matter what kind of equipment the grower has. Growing in the Netherlands is largely made easy by the fact that cannabis seeds are treated as any other seeds and there are no law regulations concerning them. Medical cannabis is legal but still very underused and mostly unknown to both doctors and patients, as is it still in its infancy. The situation is likely to improve in the following years as awareness is being raised by targeted campaigns. Getting a hold on cannabis in the Netherlands is not very hard. All you have to do is go to a coffee shop and you will be able to choose from an array of high-quality strains, although at a price a bit steeper than the European underground average. Considering the pleasant environment, the extra money is well worth it. In the recent years, some cities and regions have banned sales of cannabis to foreign citizens as they feel the drug tourism creates a public nuisance. The ban is largely ignored in most places. Amsterdam doesn’t have such bans. What complicates the apparently simple cannabis market regulations in the Netherlands is the fact that cannabis sales and large-scale growth is still a criminal act. While coffee shops are exempt from prosecution and are technically allowed to sell, grow and hold small amounts of cannabis it does leave a lot of room for manipulation. As coffee shops quite often sell way more cannabis than they are allowed to grow the question of where do they get their cannabis from arises. A black market of large-scale growing and selling cannabis is very developed in the Netherlands but largely ignored for reasons one can only speculate. Such underground operations have caused conservative politicians to call for stricter prohibitive laws, but such have not yet been made, as the consensus amongst the people of the Netherlands and the policy of the more liberal parties is that further control of the cannabis market should be implemented through complete legalization. Even though it is illegal on a federal level the use of cannabis is very spread through the USA. While a little more than 20 percent of Europeans try cannabis in their lifetimes, Americans are almost twice more likely to smoke cannabis at least once in their life. The numbers are also similar for American teens. Considering that, the fact that the USA has one of the world’s strictest prohibitive acts when it comes to cannabis, becomes a topic of debate as many feel changes are necessary. Colorado is the first state that has tried a different approach and as a result, it has some of the world’s most liberal policies when it comes to cannabis, and unlike the two previous examples it’s policy didn’t come out of a need to root out some drug abuse related issues but as voter-approved amendments. 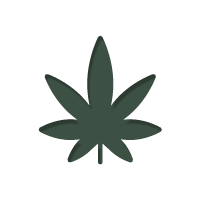 Medical cannabis was made legal in 2000, and recreational cannabis in 2014. Other soft drugs are still illegal. As the law on recreational cannabis use is still in its early stages the statistics related to cannabis use pre and post law are currently being closely monitored by both its advocates and opponents nationwide. To some, it may come as a surprise but since the legalization, a slight, but a still unignorable drop in the use of cannabis has been noticed especially when it comes to teenagers. Reasons for that remain to be a subject of speculation, with suggestions like cannabis stopping to be a forbidden fruit and more regulation on to whom the cannabis is sold to, having some merit. All those that are at least 21 or older are allowed to possess up to 28 grams of cannabis products while in Colorado. Products include cannabis edibles, concentrates, hashish, and herbal marijuana. Since some of the products have larger concentrations than the others a change in the law will come in October of 2016 further regulating the amounts allowed. Use in public spaces is not allowed by law, and that ban holds true meaning when visiting Colorado as the number of people fined for public consumption has drastically increased since legalization. Discretion is not only advised but most of the times required when it comes to places that see a lot of people. There isn’t a big number of coffee shops as there is in the Netherlands but places to enjoy cannabis in a social environment are being opened every day. Another option is using a vaporizer as it leaves no odor and it is fairly inconspicuous. For the inhabitants of Colorado growing for personal use is legal, and they may have up to 6 plants, while only 3 may be flowering at the same time. There are no limitations on the equipment used so advanced indoor setups may be used that allow easy growing even for those with no prior experience. Also, seeds are widely available and a grower should have no problem finding the strains he requires. Medical cannabis has been available in Colorado since 2000 and is now widely used as a recognized treatment for cachexia; cancer; chronic pain; chronic nervous system disorders; epilepsy and other disorders characterized by seizures; glaucoma; HIV or AIDS; multiple sclerosis and other disorders characterized by muscle spasticity; and nausea. As large scale growing, and cannabis sales are legal provided you have the right licenses growers are in an open market race and as a result, Colorado’s cannabis market is highly regulated and full of quality products. There are a lot of Cannabis stores with long working hours and cheap prices compared to their European counterparts. Such policy on cannabis has made Colorado’s tourism flourish as more and more American and foreign tourists arrive to have a break from their own countries prohibitive laws and enjoy a stress-free and socially acceptable blunt. A large number of cannabis-oriented tourist activities and accommodations is being offered every day. and while some compare it with the wine tours of Napa Valley, others say it’s all a bit exaggerated. One thing is true, even in its infancy Colorado’s marijuana industry is having great success and is close to hitting the one billion mark.